If you are one of those who get tired of food that gets stale quick as it is not being covered properly, or hates that food splashes all around the microwave as the lid can’t be on all the way, then this is certainly a review that would interest you. 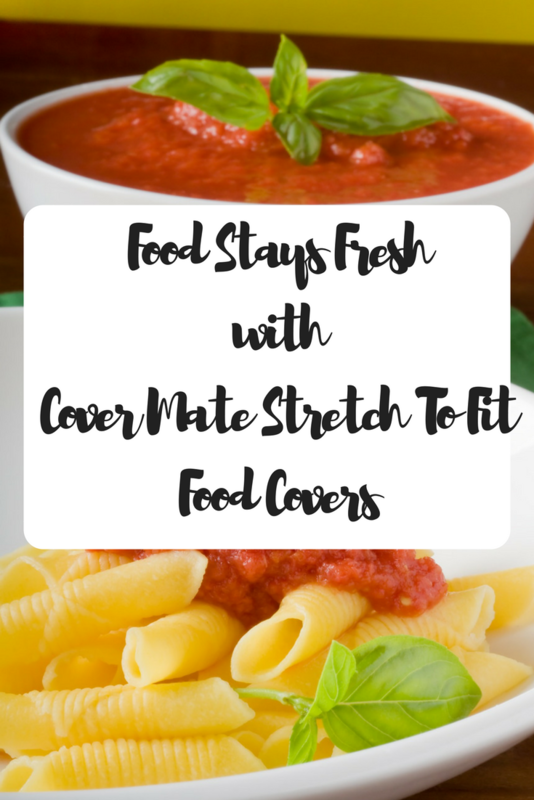 Introducing the Cover Mate Stretch To Fit Food Covers – The Eco Friendly way to storing food over a long time. These covers are reusable and infact can be washed thoroughly in the dishwasher! How much more reusable can a food cover get? The variety pack comes in three different sizes. The Medium sized covers are designed to cover regions from 4” to 9” wide. The large covers fit containers from 9-14 inches and the extra-large ones fit those up to 19”. These food covers are great to store leftovers in the fridge and to even to cover a container being heated in the microwave. But please do not use it to bake in a conventional oven. Now what are the great features that make these food covers different from the rest? This flexibility allows the food cover to bend to the shape of the container and easily cover the entire container and keep them sealed. The clear wrap not only keeps food fresh but they also are so clear you can see the food inside clearly. The built in corners allow them to expand and even cover an entire rectangular dish container. The heat sealed edges is what makes them easy to reuse and wash properly in the dishwasher. This makes them incredible safe for reuse. And you never need to feel that you are sacrificing something to reuse the cover. Now it’s clean and safe for the good. No guilt is allowed. This corner vent makes it easier to use in the microwave without bursting. That way, the steam can escape and this can be in a microwave heating up without creating any safety hazard. Watch it at work for yourself!! 2. They can be kept clean and used over a long time and maintained well. 3. They keep our food items fresh over a longer time by keeping them tightly shut. 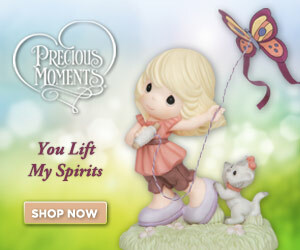 Now, I am sure you really would like to know where you can get this. Well Anywhere really. 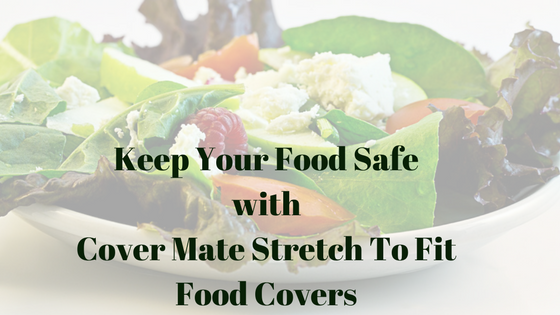 The Cover Mate Food Covers are available at 1000s of retailers and also at online stores like Amazon. Now that I have tried it, I can’t imagine a kitchen without this. This is so useful and makes storing, heating and preparing meals so much easier and guilt free. Disclaimer: This product review was based solely on my opinions. I was neither paid to write the review, nor was it implied or stated that I write only a positive one. I was provided with a box of the 10ct variety pack of the Covermate Food Covers to conduct my own analysis of the product in order to write this review.